Two Aeroplan members have decided to Go Public after finding it almost impossible to use their points to book certain flights. The popular travel rewards program no longer seems to be able keep up with demand. With five million members and counting, is Aeroplan a victim of its success? 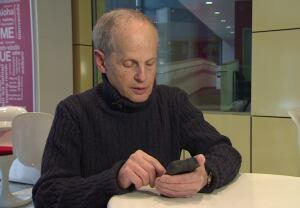 Michael Finkelstein of Toronto has been an Aeroplan points collector since 1992. 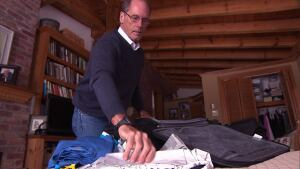 In February, he tried using his Aeroplan miles to book a trip for himself and his wife to Europe. "Last year we were able to book three months ahead of time," Finkelstein told Go Public. "[But this year] we started in February to try and book for June, July, and couldn't get the space for that. "Then we went further, we went to July, August and September. All the way until March of 2016. We made 50 attempts to try and book a round-trip flight in business class." He complained to the company, but was told there was nothing it could do. He said he was told the company has grown exponentially and it can't get the space allocation from airlines. "That's what one of the supervisors told me," said Finkelstein. "I said to them, 'This is not my problem if you don't have space … I'm very unhappy. This is not what I expected.'" Ian Gill from Huntingdon, Que., is another unhappy Aeroplan customer. He tried to book an international flight to India using his travel points. "I was always under the impression if you wanted to book a business class seat, [you need to] book a year in advance in order to get availability with Air Canada. "We're planning our trip next January and I started looking in February, and I haven't been able to find anything." With no availability in business class, Huntingdon decided to try economy. He said that's when he got his second unwelcome surprise. He says he discovered the taxes and fees that are part of the Aeroplan tickets jumped if an Air Canada flight was part of the trip. "The difference in price is substantial. It can range in price from $450 to $950 per ticket in addition to the [regular] taxes and fees that Aeroplan charges," Gill said. Go Public found that those "carrier surcharges" applied to Air Canada flights are passed on from the airline to Aeroplan and then to travellers. "Many times you have no choice — especially if you have fixed dates when you have to travel ... if they actually have an Air Canada flight going. You have no choice, you have to take one," Gill said. "I think it's a bit of a scam, because you're led to believe that you're going to be getting something for nothing. But when it comes down to it, I guess you don't get anything for nothing." Patrick Sojka, the Calgary-based travel blogger behind Rewards Canada, said Canadians are among the biggest users of loyalty programs in the world. Aeroplan members can collect rewards by using their Aeroplan credit cards and by shopping at certain businesses — everything from hardware stores to car rental companies to gas stations. "We like to join a lot of them. We've seen studies where Canadians carry four loyalty cards in our wallets, [and sometimes] up to 10 in our wallets," Sojka said. Adding to the problem, he said, is that airlines are tightening up routes, flying fewer flights between cities and ensuring those flights are full — all factors that make it difficult to get a seat using points. Sojka said just eight to 10 per cent of Air Canada seats are allocated to Aeroplan. "To a point they are over-extended. You have so many people competing for so few seats with these mileage options," he said. Aeroplan told Go Public it has tried to address the issue by offering collectors other options, like using points to buy merchandise, book hotels or car rentals. According to Christa Poole, senior external communications manager at Aimia Inc, the company that owns Aeroplan, approximately 2.7 million rewards were issued to members in 2014, including 1.9 million flights on Air Canada and other Aeroplan carriers. Asked for specific numbers on how fast the program is growing, Poole wouldn't offer details. She said space is only restricted for what the company calls "Classic Flight rewards," the option that requires the least number of points. Aeroplan launched Market Fare Flight Rewards in January 2014, which allows members to book any available seat. However, those seats usually require more points and are only available on Air Canada flights, so travellers have to pay the additional Air Canada carrier surcharge. After their most recent experience with Aeroplan, both Finkelstein and Gill said they wonder if it's time for a change. "I thought I was being treated like — not even a third-class citizen," said Finkelstein. "I was being treated like they don't appreciate my business."